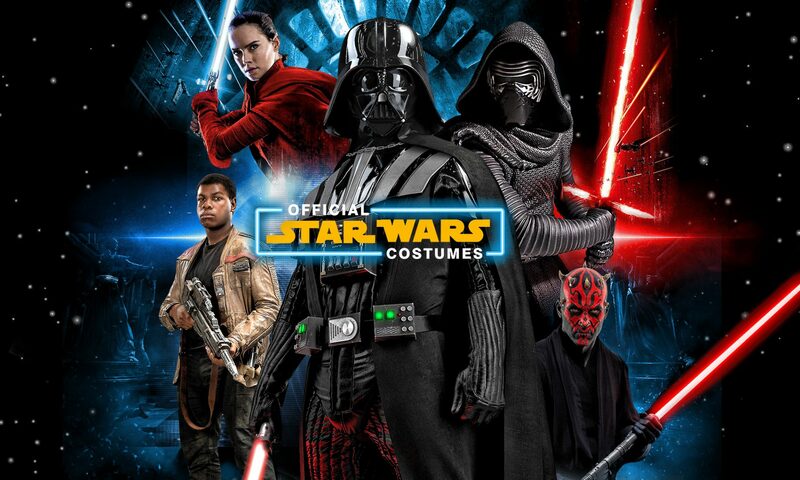 Out of all the fun costumes offered at Official Costumes, some of the best are the Supreme Star Wars Costumes. These costumes are made to look just like the movies they come from, they’re a dedicated fan’s dream come true! High-quality materials and skilled construction make the Supreme Star Wars costumes a great deal. Let’s take a look at some of the details of a few costumes. The classic Stormtrooper, a standard of the Star Wars brand since their first appearance in “A New Hope,” is instantly recognizable outfit. This costume comes with a supreme quality jumpsuit with attached armor pieces. The armor pieces are heavy-duty injection-molded, modeled after the original look of the stormtroopers themselves. There’s a chest guard, shin guards, collar armor, shoulder guards, thigh guards, bicep armor, back armor, cod piece, and gauntlets. In addition, it comes with a white plastic belt and Stormtrooper helmet to make the costume complete. The armor pieces are able to snap to the black jumpsuit, which make for comfort while wearing and easy storage when not in use. This ease of use makes the Supreme Stormtrooper Adult Costume a fun outfit for Halloween or conventions! This costume is one of our greatest Supreme Star Wars Costumes, and one of the most popular Star Wars characters ever! He only has twelve minutes of screen time in the original movie, but everyone will know who you are in this costume. The supreme features of this costume include a black jumpsuit with faux leather, and armor pieces that can be connected to the jumpsuit with bands, or zip to close as in the case of the boot covers. This armor includes shin guards, collar armor, and shoulder guards. Also included are a light-up chest piece and belt, a two-piece cape (inner and outer), two gauntlets, and a two-piece mask, which includes a helmet and a face mask. The mask includes a breathing sound box to help make you sound authentic. It’s an easy-to-wear outfit that looks fantastic! There are more options available, such as Boba Fett or the Imperial Guard, but hopefully this information will help you figure out if you want one of these incredible Star Wars Costumes!